Horses jumping over hedges on an eventing course. 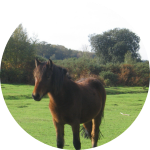 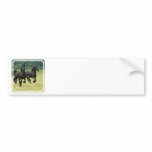 Black galloping horse colt in a big field. Collected chestnut horse with a curved neck. 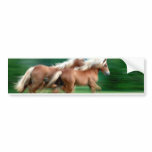 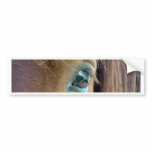 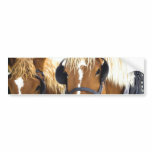 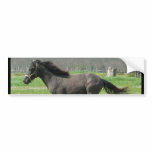 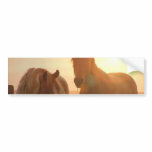 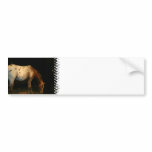 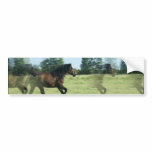 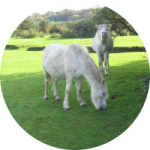 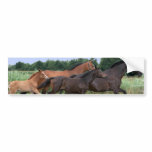 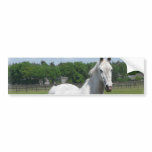 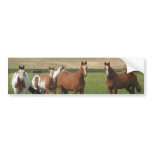 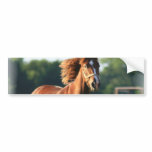 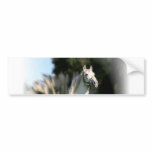 Chestnut horse galloping in a field bumper sticker. Brown and white pinto pony photo design. 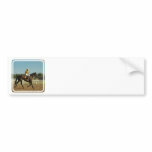 Thoroughbred race horse at the racetrack.